Here's some detail about how the iTrustYou profile and TrustToken system works. If you need help or more clarity on any of the points, feel free to connect with us by using the Help widget at the bottom of the screen. iTrustYou is an online identity service which is accessed via the iTrustYou app. iTrustYou solves the increasing problem of identity theft and trust when transacting with strangers you may never meet in person. The service helps people easily and securely prove themselves in situations where trust is paramount. iTrustYou is a product of Stormship Ventures Ltd, a private limited company incorporated in England & Wales. iTrustYou was conceptualised and developed with security as one of its primary design principles. Every technical and process safeguard in the system exists to protect the identities of our users. One of our key mission tenets is to prevent identity theft; we are very serious about this mission. In addition to the above, the Stormship Ventures founders have more than a decade's experience in delivering enterprise-grade software systems to a portfolio of market-leading clients. This experience has been directly applied in the design and development of iTrustYou. The team takes the utmost care at all times to provide a secure, easy-to-use service in line with our mission. The sender to prove to the recipient that they are in possession of a valid South African driver's license, and that they are the person the license was issued to. The sender to display their official ID photo, initials and surname to the recipient. The recipient to rate the sender by tapping a thumbs up or thumbs down button and optionally typing a 140-character comment. The sender to optionally respond to a rating they have received with a 140-character response. What do I need to use iTrustYou? An Apple iPhone running at least iOS 10. A valid South African driver's license belonging to you. What happens after I've submitted my video? 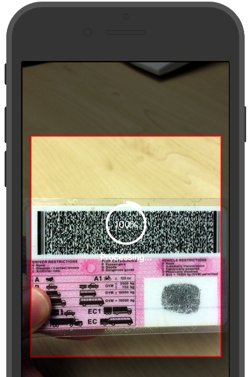 Your submission goes into a processing queue to check that the person in the video is the person whose ID was scanned. We let you know via email and push notification as soon as you are successfully verified. This happens within 24 hours, but in most instances even sooner. Do I need to reverify if my driver's license expires? No, if you created your iTrustYou profile when your driver's license was valid, you don't need to reverify when it expires; expiry does not invalidate your identity. Yes. The moment your personal details (Initials, Last name, ID number, Date of Birth, Age, Gender, Citizenship) are retrieved from your driver's license they are encrypted. From that point onwards, your data remains encrypted at all times, including transactions between the app and the iTrustYou service, all TrustTokens sent between devices, and all web pages served by iTrustYou. During sign up, I've been asked to retry verification. Why? Ensure that you're recording your video with adequately bright lighting. Avoid dark rooms. Avoid recording with a bright light (the sun, for instance) behind you. Check that your phone's lens is perfectly clean. A finger smudge can make a difference. Don't wear any hats, sunglasses or other accessories which may obstruct your face. If you're wearing glasses on your ID photo, wear them in the video if you can. In rare instances it may happen that we are simply unable to confirm that the video you've submitted matches your ID photo. Unfortunately, you will then not be able to use iTrustYou. Why have I been asked to reverify my identity? To prevent unauthorised use of your identity, iTrustYou includes several procedural safeguards. If you switch to a new phone or someone else tries to create a profile with your ID, we may ask you to reverify by submitting your video again. These additional steps are performed to keep your identity as secure as possible. Yes, you can. On the login screen, tap "I forgot my password". This will send a reset code to your email address and ask you to provide a new password. How do I get TrustTokens? Refer friends to earn 5 tokens per successful referred sign up. 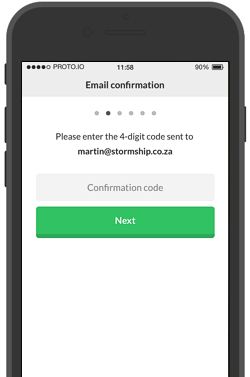 A sign up counts as successful if your friend verifies their profile using the email address you sent their invite to. If someone you send a TrustToken to signs up and successfully verifies their identity using the email address you sent the token to, you earn 1 token. How do I send a TrustToken? 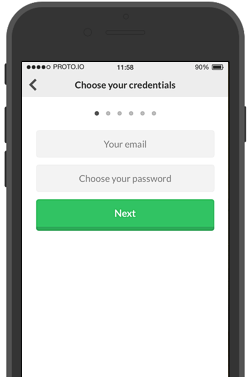 Before you can send a TrustToken, you need to create a verified profile using the iTrustYou app. Your previous ratings (which include comments and responses) are only visible if the recipient is also a registered user and has a profile. When you send a TrustToken to someone who is not also a verified user, it is timestamped and displays for 1 hour. After 1 hour, the token is marked as expired, with the recipient cautioned to request a new token. When I send a TrustToken, can anyone see my ID number? No, your ID number is never displayed to anyone except you. TrustToken recipients only see the details listed in the previous point. How do I know that a TrustToken I've sent will not be used to impersonate me? When a TrustToken is received, it is clearly marked for a specific email recipient. If the token link was forwarded, the recipient will clearly see that their details do not match those of the token. TrustTokens expire after 1 hour. If a token is viewed after this, a clear expiry warning is displayed and the recipient is cautioned to request a new token to ensure validity. If you're a verified user, the iTrustYou app notifies you and the token is displayed within the App. If you're an unregistered user and have not used iTrustYou before, an email notification opens the token in a secure browser page. How can I be sure that a TrustToken I've received is legitimate? Your email address should be the one the token was sent to. Forwarded tokens should never be trusted. The token has not expired. Each TrustToken is valid for 1 hour after issue. If you receive an expired token, please ask the sender to issue a new one. If you have a profile and you're viewing the token in the iTrustYou app, its validity has already been confirmed for you. When receiving a token, you can give the sender a thumbs up or down rating. If you like, you can leave a short comment of up to 140 characters. You are only allowed a single rating and comment per token received. When a recipient rates you on a taken you sent to them, you are notified and can respond to the rating once. Only fellow users with verified profiles are able to rate a sender when a TrustToken is received. Only one rating and 140 character comment can be given per token. When I send a TrustToken, who can see my previous ratings? Token recipients can see ratings and comments given to you by previous recipients, but the names of previous raters are not displayed. You can see the rater, ratings and comment of each rating given to you and can respond once to each. Can I remove a rating if I don't like it? No, iTrustYou relies on ratings and comments to form a full picture of the trustworthiness of an individual. Abuse is prevented by the fact that one cannot be anonymous when rating, you need to have a verified profile and thus be identifiable by your real name to be able to rate and comment. 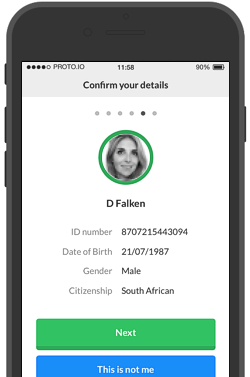 iTrustYou's digital identity service helps communities build trusted relationships between members. © 2018 Stormship Ventures Ltd. All Rights Reserved.